LOCATION: The parade will begin at the corner of Laurel Canyon Blvd. and San Fernando Mission Blvd, proceed down Laurel Canyon Blvd.1.1 miles and culminate at the Ritchie Valens Recreation Center and Park, 10736 Laurel Canyon Blvd., Pacoima, CA 91331 (corner of Laurel Canyon Blvd. and Paxton St.). There will be a food, entertainment and activities for everyone at the Ritchie Valens Recreation Center. 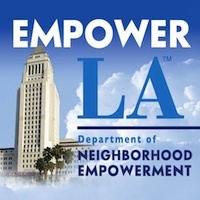 Stage with Dignitaries and our MC Bobby Arias from Communities in Schools will be on Laurel Canyon Blvd. at Brand Blvd.